We’ve got a few casting stories for you today. First up, Matthew Macfadyen (The Three Musketeers) has joined the cast of director Joe Wright’s (Hanna) adaptation of Anna Karenina. The Daily Mail (via Dark Horizons) reports that Macfadyen replaces Benedict Cumberbatch in the role of Oblonsky in the film version of Leo Tolstoy’s classic tragic love story. In addition to Macfadyen, Olivia Williams, Domhnall Gleeson and Andrea Risebourough have joined the cast as well. Keira Knightley, Jude Law, Aaron Johnson and Kelly Macdonald are set to star in the Tom Stoppard-scripted (Shakespeare in Love) flick. Filming is set to begin this fall. Next up, Patricia Arquette has joined the cast of brother David’s directing vehicle Glutton. The psychological thriller stars Abraham Benrubi (ER) as a 1,200 pound bedridden man. Arquette and Kacey Barnfield play the two female leads in the 3D flick. Variety reports that Arquette will play the man’s sister, while Barnfield will take on the role of a blind neighbor. Hit the jump for the casting of Adhir Kalyan in the indie film Samaritan as well as a synopsis of the book Anna Karenina. Rules of Engagement star Adhir Kalyan has joined the cast of the indie drama Samaritan. The film centers on a community college student who stops a girl from committing suicide, only to have her torment the rest of his life. Variety reports that Kalyan will play one of the protagonist’s closest friends who becomes concerned with the relationship between the suicide attempt victim and his friend. Trevor Morgan and Thomas Jane also star in the film. 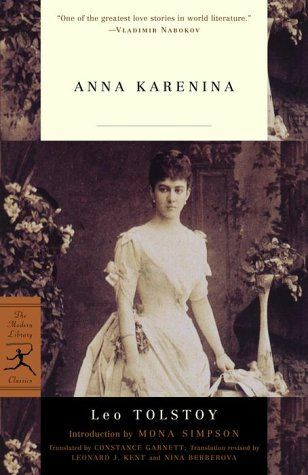 Married to a powerful government minister, Anna Karenina is a beautiful woman who falls deeply in love with a wealthy army officer, the elegant Count Vronsky. Desperate to find truth and meaning in her life, she rashly defies the conventions of Russian society and leaves her husband and son to live with her lover. Condemned and ostracized by her peers and prone to fits of jealousy that alienate Vronsky, Anna finds herself unable to escape an increasingly hopeless situation. Set against this tragic affair is the story of Konstantin Levin, a melancholy landowner whom Tolstoy based largely on himself. While Anna looks for happiness through love, Levin embarks on his own search for spiritual fulfillment through marriage, family, and hard work. Surrounding these two central plot threads are dozens of characters whom Tolstoy seamlessly weaves together, creating a breathtaking tapestry of nineteenth-century Russian society.